After a long yet exciting search throughout the country, Little Miss Solane 2014 presents the 24 girls with the most promising wits and abilities. On its second year, Little Miss Solane is a talent and personality search where young ladies can discover, develop and nurture their potentials at an early age to help them grow into empowered, responsible and successful women in their own right. 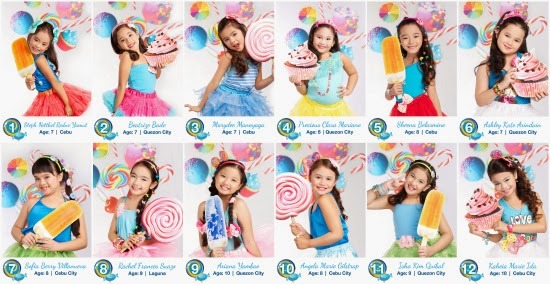 Unlike other children’s competitions that focus merely on physical attributes, Little Miss Solane 2014 endeavors to enhance talent and potential and build character and personality. By giving them a good sense of accomplishment this early, the pageant aims to mold these young misses into successful women who create positive change in the society. Little Miss Solane 2014 is an avenue where young misses can meet new friends, learn new things about themselves and more importantly, improve their talents, skills and well-being. 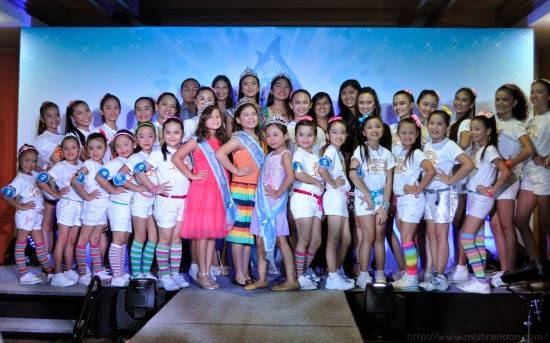 This year’s finalists for the cuties category (6 to 10 years old) are Sheena Belarmino, Angela Marie Gilstrap, Kaheia Marie Ida, Marydee Manayaga, Sofia Berry Villanueva, Steph Netthel Redne, Ashley Kate Arindain, Isha Kim Quibal, Beatrize Bade, Rachel Frances Suazo, Ariana Yambao and Precious Mariano. The contenders for the teenies category (11 to 14 years old) are Ma. Mercy Bacarisas, Kyla Angelica Marie De Catalina, Aubrey Jean Pitogo, Sharmaine Michaela Richards, Princess Justine Marie Sing, Duchess Blythe Uybengkee, Alessandra Rafael, Ma. Dominique Trillana, Marielle Jhoy Tubig, Ma. Christine Mendoza, Schanelle Ashley Banzon and Micah Jillian Antonio. These young ladies will represent their respective regions and compete during the national pageant set on May 17 at the SMX Aura Convention Center, Taguig City. 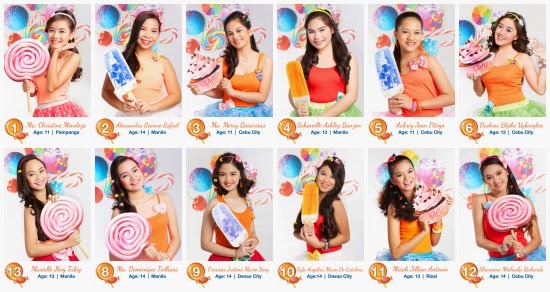 Judges will choose one winner for each category and will crown them as Little Miss Solane 2014 Cuties and Little Miss Solane 2014 Teenies. As grand winners, they will each bring home P50,000 cash plus P50,000 worth of scholarships and developmental programs. The title holders also will have the privilege of joining Solane activities like outreach programs, trade shows and client appreciation events where they can further showcase their talents. Meanwhile, the first and second runners-up will take home P30,000 and P20,000 cash, respectively. Aside from these titles, finalists also stand a chance to get a sash and P5,000 cash prize for the following special awards: Best in National Costume, Most Elegant, Most Beautiful Child and Most Beautiful Teen, Little Miss Talent, Little Miss Sporty and Healthy, Little Miss Intelligence, Little Miss Bestfriend, Child of the Year and Teen of the Year, Solane Mom and Daughter of the Year, and Darling of the Press. Made possible by Solane, the country’s leading LPG solutions company and the organizers of Mrs. Philippines-Globe, Little Miss Solane is sponsored by Monde MY San Corporation, Peerless Marketing, Mister Donut, Oishi Bread Pan, Fres Candies, Yupangco Music Academy, Tiddletots, Ozar, Island Rose, and Dayzinc Vitamin Syrup. For more details, like Little Miss Solane on Facebook (www.facebook.com/LittleMissSolane) and for ticket inquiries, log on to www.smtickets.com or call SM Tickets at 470-2222 or email us at littlemisssolane@eventvisions.com.ph. This pageant is organized by EVI Marketing Communications.